1. Start preparing the ground where you are intending to plant your new orchard, cordons, fans or espalier-trained fruit trees. Check the pH of the soil which needs to be between 6.3 and 6.8. If the pH of the soil is below 6.3, apply some lime and work into the soil. 2. Make sure the site and position is right; not in a frost pocket or on the northerly and shady sites of buildings, walls or hedges. 3. Apply plenty of well-rotted farmyard manure and work into the soil up to a depth of 15 inches. 4. Remove and kill perennial weeds such as bramble, stinging nettle and couch grass. 5. Eliminate wasps nests and remove rotting fruits, which will hide the wasps, from the orchard floor. 6. Remove any rotting or damaged fruits from the trees. Pick the fruit that is ready to eat. 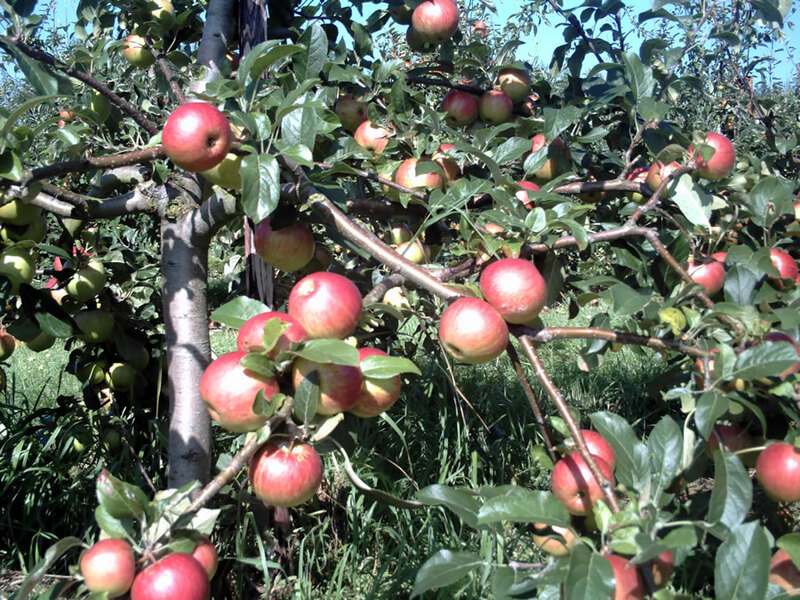 Do not store early-maturing fruits such as Discovery and Grenadier apples. Fruit for storage needs to be slightly immature. Fruit that is too ripe will not store. 7. Finish the summer pruning programmes as mentioned in the August tips. 8. Check the storage space for your fruit; it needs to be clean, cool and free from vermin such as flies and mice. 9. Check that the thermometer in the store is in good working order. 10. Start discussing which varieties would be suitable for your location with a knowledgeable and experienced fruit specialist. All types of fruit are site sensitive!